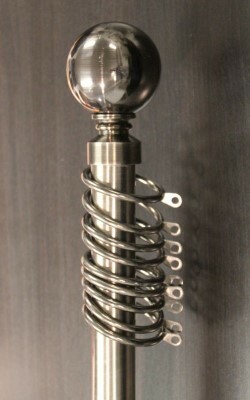 This curtain rod in silver anodised is extendable so each curtain pole will cover a range of widths. 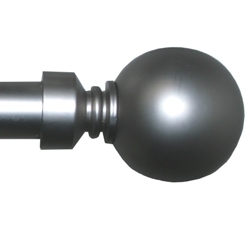 These curtain poles are suitable for Eyelet Curtains by taking off the curtain rings or leave them on to suit Pinch Pleat or Pencil or Box Pleat curtains. This is great wider diametre rod addition to the extendable poles from Curtains on the Net.